As expected, Apple has introduced the latest iPhone range during its dedicated media event at the Bill Graham Civic Auditorium in San Francisco, California. In addition to coming complete with a number of new features, the iPhone 6s and iPhone 6s Plus also feature a brand new integrated screen system, which Apple has called “3D Touch”. It’s 3D because it can recognize three levels of touch. For the first time, the iPhone will now be able to recognise and interpret force from the user on three levels, offering up an entirely new method of interaction and user-experience. 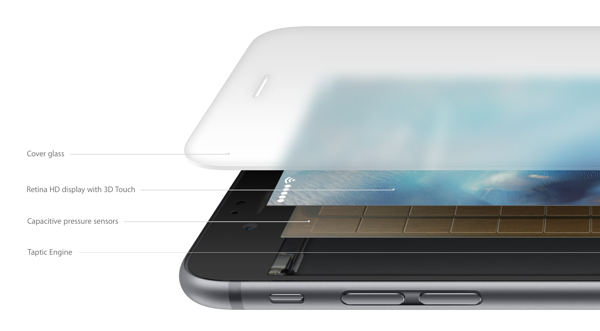 An official Apple video shows exactly how 3D Touch works on the iPhone 6s. Apple has consistently chosen to play on the fact the the iPhone is one of the only modern smartphones that has had both the hardware and software designed to work seamlessly together. The company is so proud of what’s been achieved in this respect that it’s actually produced video playing on that very fact. The introduction of 3D Touch revisits that philosophy by playing on the fact that both hardware and software have been designed together to offer a singular experience. Apple’s 3D Touch on the iPhone 6s is a continuation of the tapping, swiping and pinching gestures that were introduced with the original iPhone all this years ago. By offering users the ability to apply varying levels of force when interacting with the new display, Apple has been able to introduce a whole new level of context into iOS. 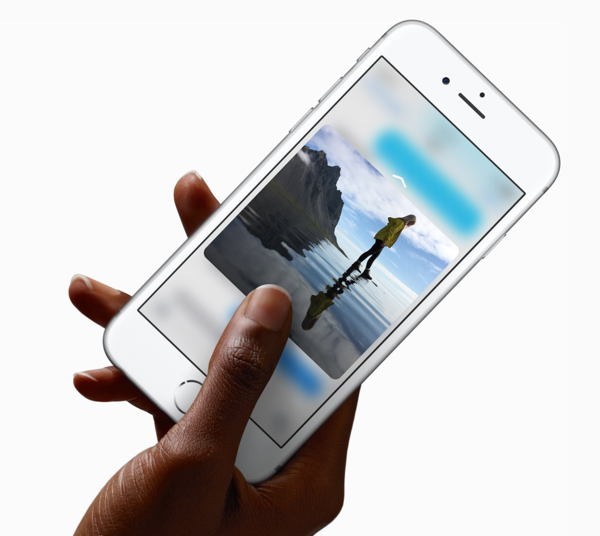 3D Touch drags the iPhone 6s out of its two-dimensional world by adding force recognition to array of gestures that have become commonplace and so familiar to users of iPhone. 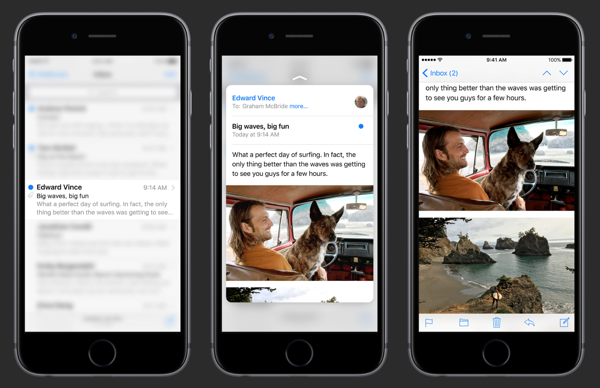 The newly introduced “peek and pop” gesture allows quick access to information such as email content without actually navigating away from the list of mails. A continuation of the gesture then “pop” the full content into view. 3D Touch also works seamlessly from the home screen of the iPhone, allowing a very new level of interaction with installed app icons. As an example, applying force to the native Mail app icon pops up a contextual menu offering options such as “Inbox”, “VIP”, “Search”, and “New Message”. Applying the same gesture to the Camera icon allows users to quickly “Take a Selfie”, Record Video”, “Record Slo-Mo”, and “Take Photo”. And so on. It works differently in different apps. Like Photos, Safari, Maps app, Multitasking switcher, drawing apps, system-wide keyboard and a lot more. Even Apple’s new Live Photos and Dynamic Wallpapers feature takes advantage of this. Essentially, both first-party and any third-party apps can now take advantage of 3D Touch to provide a whole new level of interaction. Check out the video for yourself and see what you think. I wonder how long it will be until Samsung has their version. Something called “Pressure Touch 3D” or something similar. Am i the only one who thinks that this is… useless? Maybe with a cydia tweak would be activated via triple tap or zoom-in like an image. Ah there are new gestures… now that i remember. I can do exactly the same with the S-Pen on my Note 5 thank God i switched from IPhone 6 plus to the Note 5 im so happy with it that i will never own again an iPhone. I agree, but clearly it’s not just a stylus. Having angel sensitivity built in to the “pencil” is pretty cool. It’s definitely not just an every day stylus. Apple’s technology is completely different from your S-Pen. For starters it measures 3 different levels of pressure touch. You can hold your S-Pen in one place, that only counts for 2 levels. Also, Apple has integrated their technology throughout the operating system and in all their apps. And, app developers will be following suit en masse, taking advantage of this new tech. Your S-Pen doesn’t even come close to what is happening here but it will after Samsung copies it in their next smart device. Im talking about the things the “new 3D touch” does the part where you do a light touch on your gallery and your messages where a pop up comes up that is air view and with the S-Pen you don’t have to even touch the screen for it to do it just hover the pen over and it will do the trick same thing for links hover the pen over it and it will give you info on the page without having to open it and the pop menu you just press the button on the S-Pen and it pops out too so i don’t see anything new with Apple’s 3d touch othan than what they want people to believe. I’m currently using a iPhone 6 Plus and thinking about switching to the Note 5. Is it worth the switch? 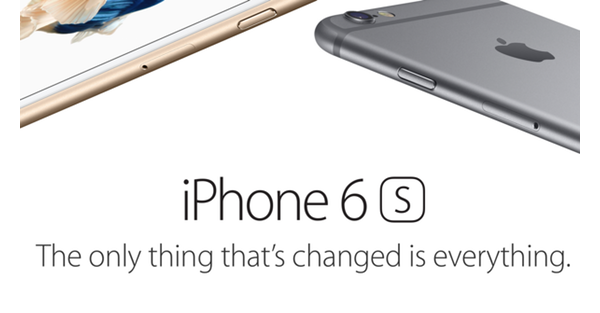 No it’s not, it’s the same that the new iPad Pro has, the Note 5 doesn’t have it! I had an a Galaxy Note 5 and the touch screen was so laggy, God I swtiched to the iPhone 6 Plus and I am satisfied how smooth is the screen is, I will never any ShameSung product anymore. But you’ll actually have to take out the pen as an additional step. With force touch, you don’t have to do anything extra except press a little harder. Way more convenient. I had the iPhone 6 plus 64gb and i had a few freezes and reboots that was the worst experience i had ever had with a phone now with the Note 5 i havent seen any lag no reboots its super fast and smooth. I had an Galaxy Note 5 I tried to take a selfie video using Snapchat I found so many frames droppod in the video, After using the phone for a month the OS on the phone become so laggy, I swtiched to the iPhone 6 Plus and I reliazed how dumb I am when I was using ShameSung product. I’m not a Samsung guy at all, but that s-pen has been proven by professional artists that it’s legit. Check out the examples on YouTube. Galaxy note tablet drawings are amazing. The S-Pen is not just a stylus? 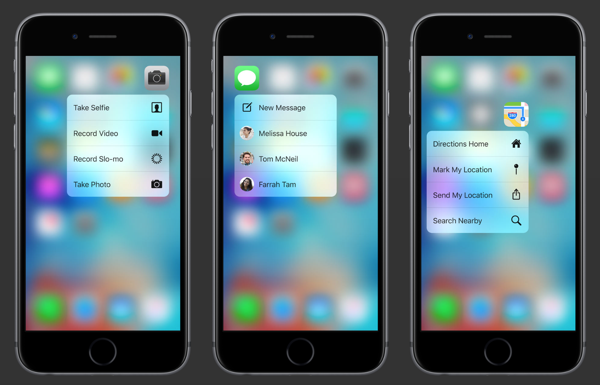 Apple’s 3D Touch is being implemented system wide. It isn’t a gimmick like it is on your Galaxy device. And while their 3D touch is designed to register 3 different responses depending on depth, the reality is, the 3D Touch controller is capable of measuring an infinite number of different pressures which game makers can use in the future.